An EPIC Hip Hop Mixtape Recorded Live Onstage In One Take. 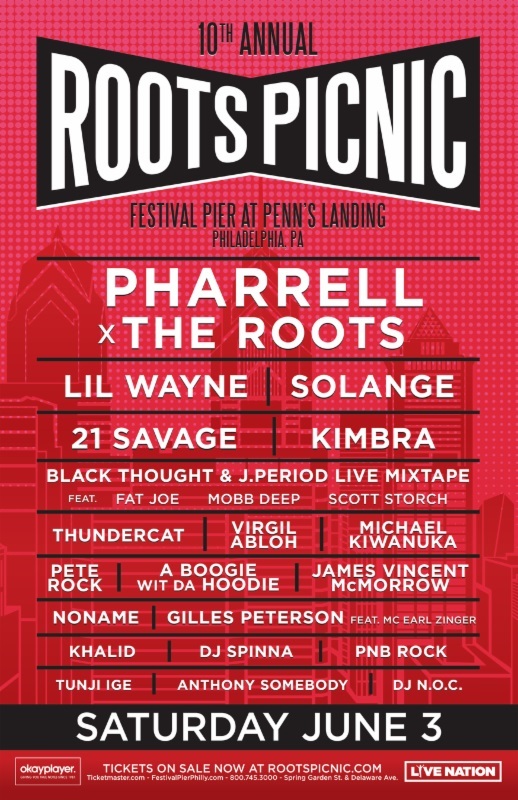 A high-powered edition of the J.PERIOD Live Mixtape featuring legendary MC’s Fabolous and Jadakiss comes to The Roots Picnic at Festival Pier in Philadelphia, PA. With J.PERIOD on the decks, and Thought, Fab and Jada on stage, it’s gonna be an EPIC edition of the Live Mixtape. What does it mean to RISE UP? 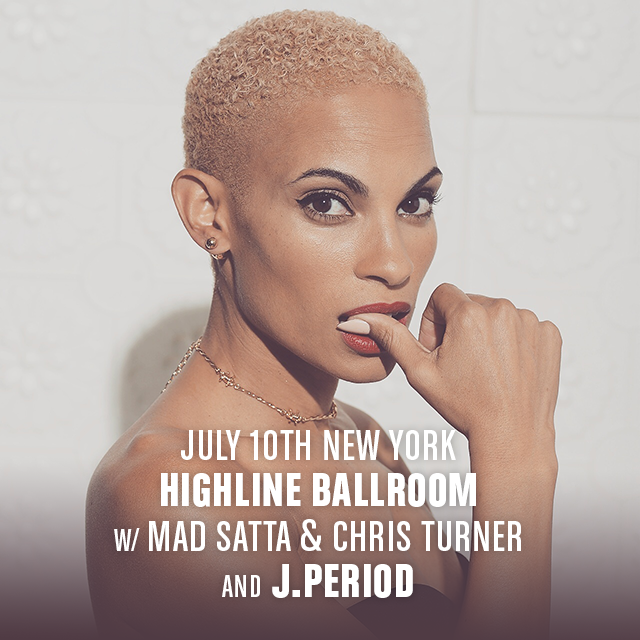 J.PERIOD (Billboard #1 album for The Hamilton Mixtape) presents The Live Mixtape [RISE UP Edition], a groundbreaking concert event that explores the relationship between arts and activism through the sonic lens and vibrant language of Hip Hop. The Live Mixtape [RISE UP Edition] re-imagines protest music for the modern era and features an all-star cast of surprise special guests and Hip Hop luminaries. This event celebrates the release of The RISE UP Project, a new album created in partnership with the W.K. Kellogg Foundation that brings influential artists together around social justice themes and community engagement. We RISE together, or we fall apart. 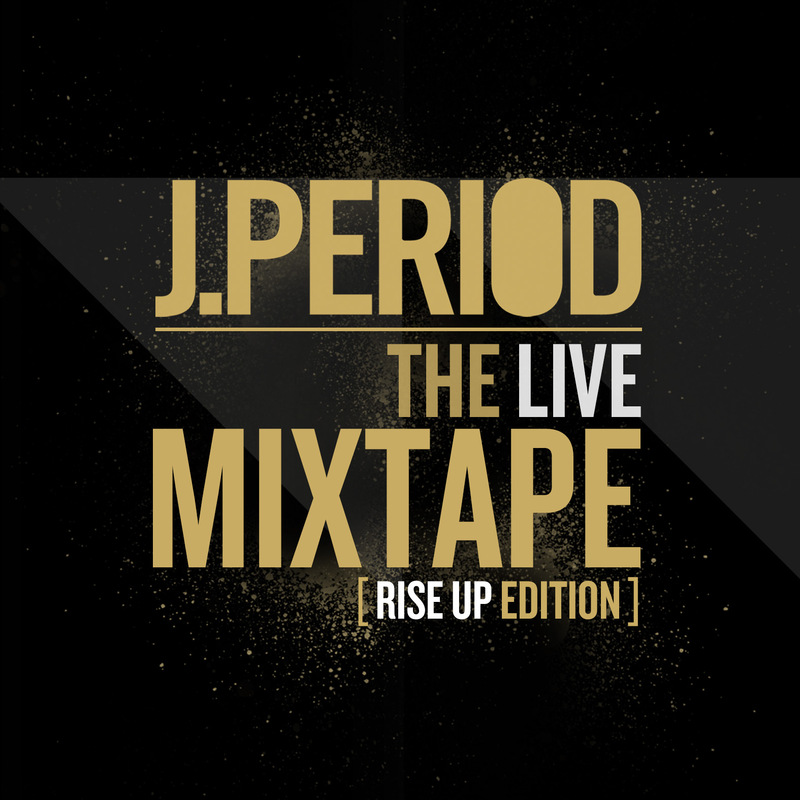 J.PERIOD brings The Live Mixtape and special guest performers to BAM as part of the release for The RISE UP Project. Details TBA! Stay tuned for a special announcement coming this Sunday. 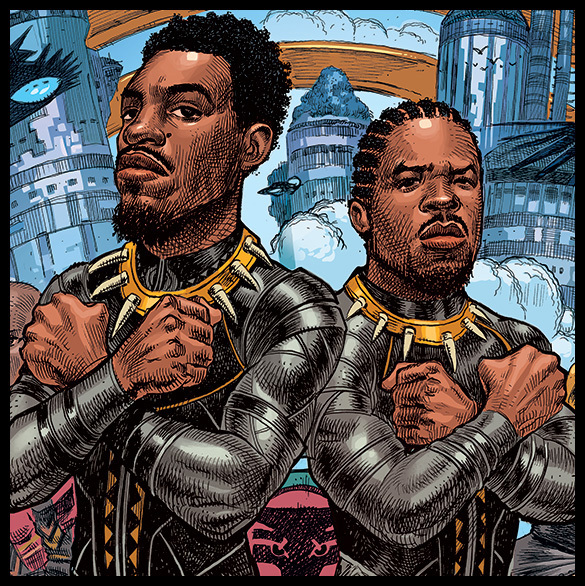 Award-winning DJ /Producer (Billboard #1 album for The Hamilton Mixtape) takes listeners on an exclusive journey into the secret forests between Wakanda and Stankonia on this EPIC new mixtape. Details soon! Available 4/20 at JPERIOD.com. Cover art by Dan Lish. 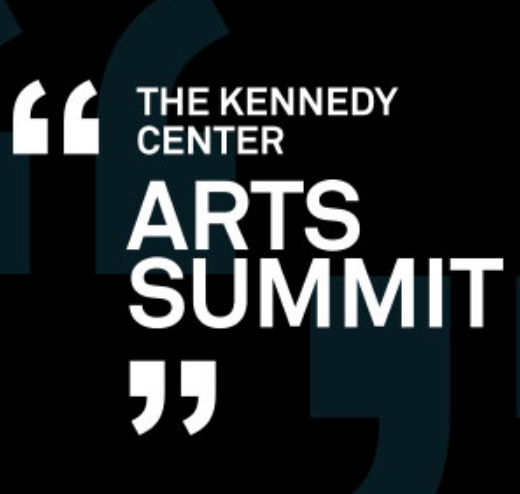 J.PERIOD brings The Live Mixtape to The Kennedy Center’s premiere gathering of thought leaders, artists, scientists and influencers. Guest performers include: Maimouna Youssef and Mayda Del Valle. 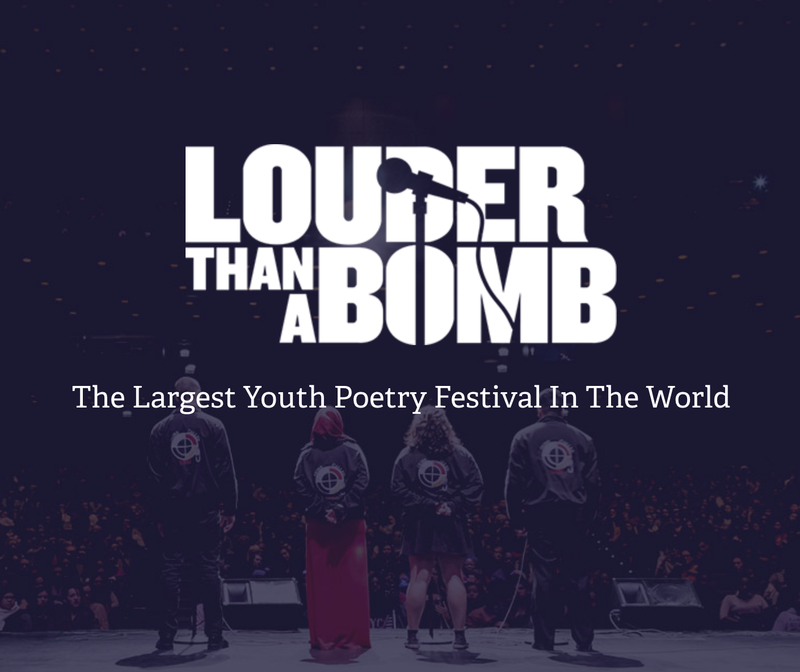 An exclusive performance of the J.PERIOD Live Mixtape featuring a special surprise guest comes to the finale night of Young Chicago Author’s “Louder Than A Bomb” Poetry Festival. This promises to be one for the books! 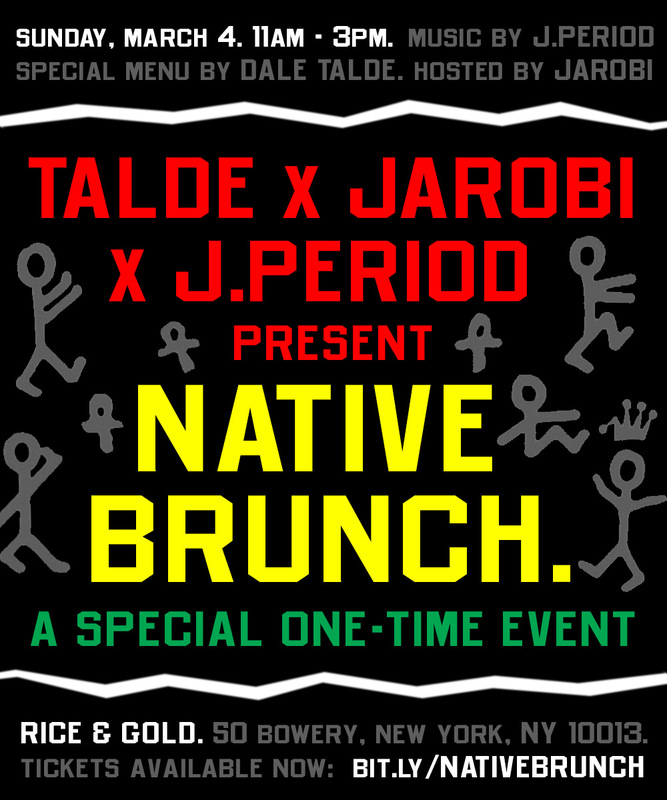 The first in a series of new musically-themed culinary events from noted restauranteur Dale Talde, celebrity chef Jarobi White (A Tribe Called Quest), and acclaimed DJ/Producer J.PERIOD (The Roots, The Hamilton Mixtape)... Dale Talde x Jarobi x J.PERIOD Present… NATIVE BRUNCH, a culinary and musical tribute to the Native Tongue family. 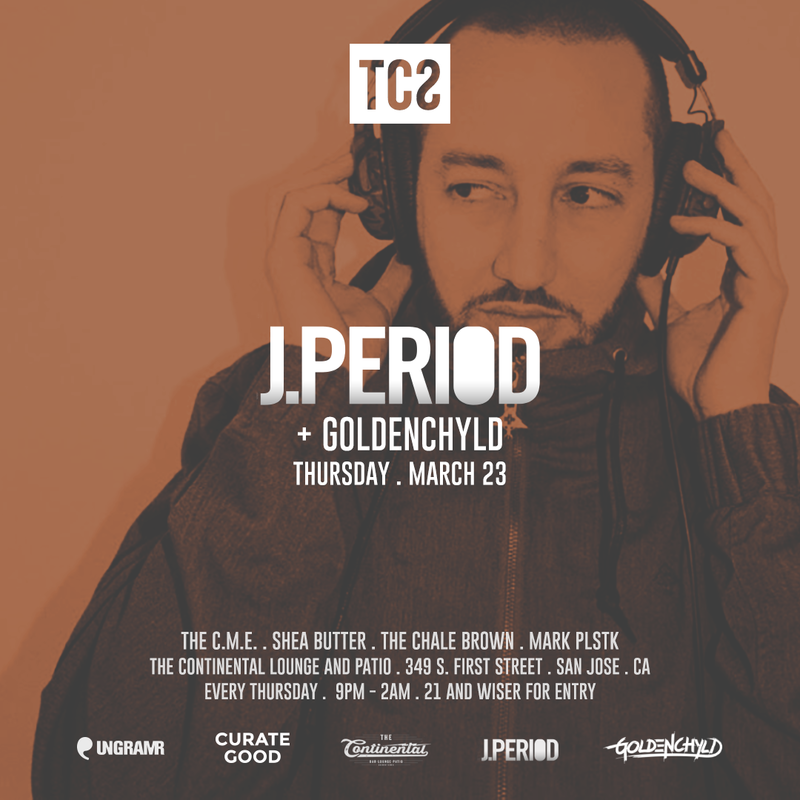 Chef Dale Talde cooks up a special brunch feast, Jarobi hosts, and J.PERIOD provides the soundtrack, spinning an exclusive set of Native Tongue hits, rarities, remixes and more! Limited availability. This is a one-time only event. Sunday, March 4 | 11am - 3pm. Rice & Gold | 50 Bowery, New York, NY 10013. 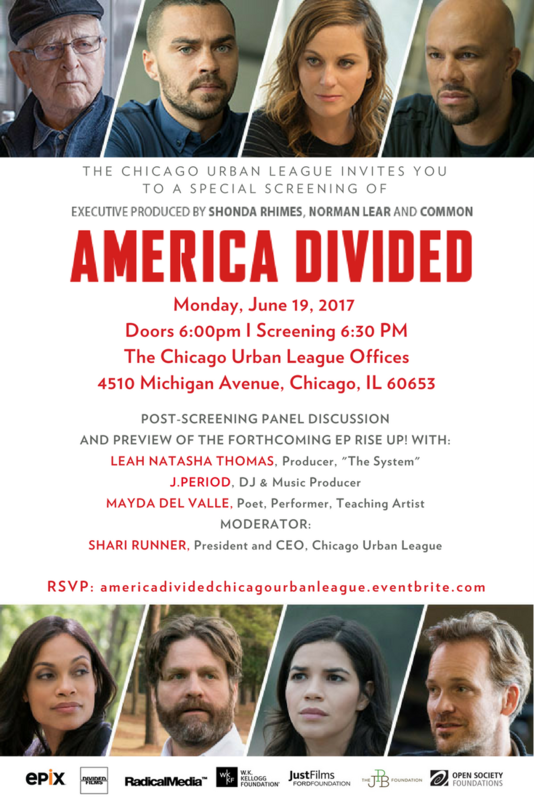 Urban League Chicago presents America Divided, screening and panel discussion. 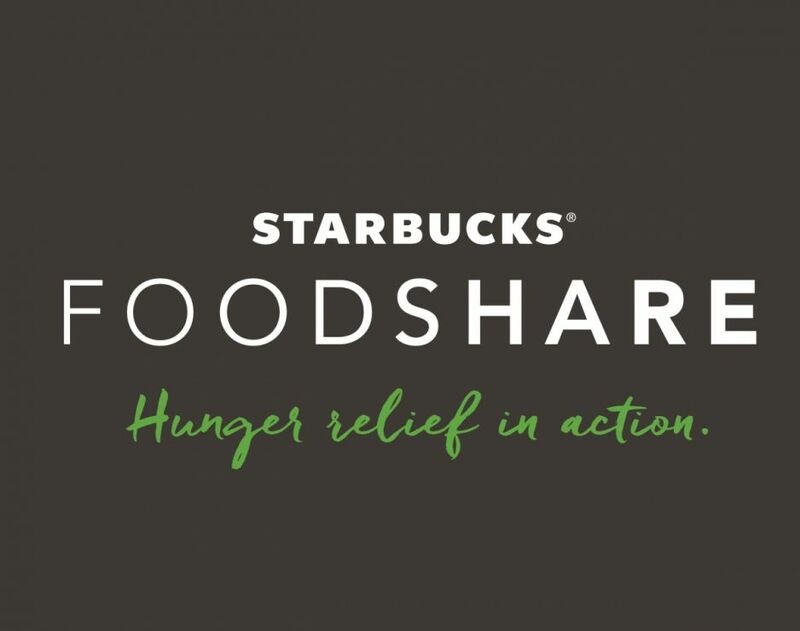 Thursday, June 8, J.PERIOD joins forces with Starbucks to help launch Starbucks FoodShare in NYC, and alliance with Feeding America to provide nourishing, ready to eat meals to people in need. The program launches in New York City in June with a goal to rescue 100% of food available to donate from their more than 8,000 US company-operated stores. 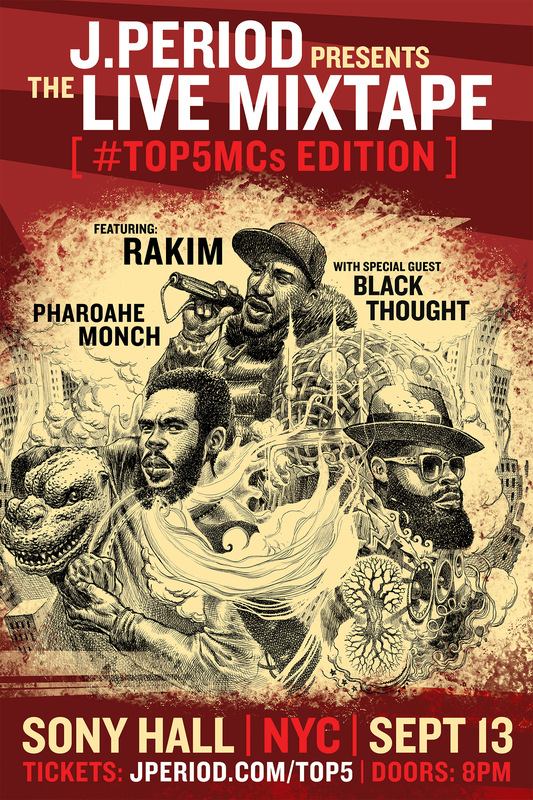 J.PERIOD and Black Thought return with a special installment of The Live Mixtape at The Roots Picnic, Philly on June 3, 2017… featuring guest appearances from Mobb Deep, Fat Joe, Scott Storch… and some surprise special guests!! The Art Of Storytellin’: Outkast Tribute! 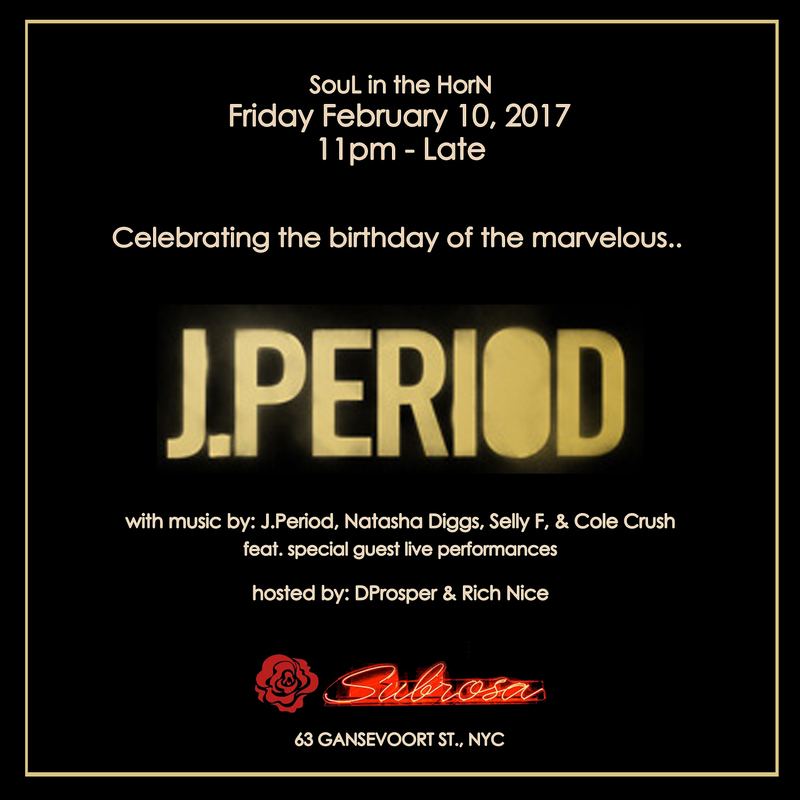 J.PERIOD takes over the wheels of steel for an “all horns” set for the incredible “Soul In The Horn”, one of New York’s best parties every week and a growing institution in the city! Atlanta get ready! J.PERIOD joins Rasta Root for the Face Off Fridays 11 Year Anniversary party. Should be a good one! J.PERIOD visits the W.K. 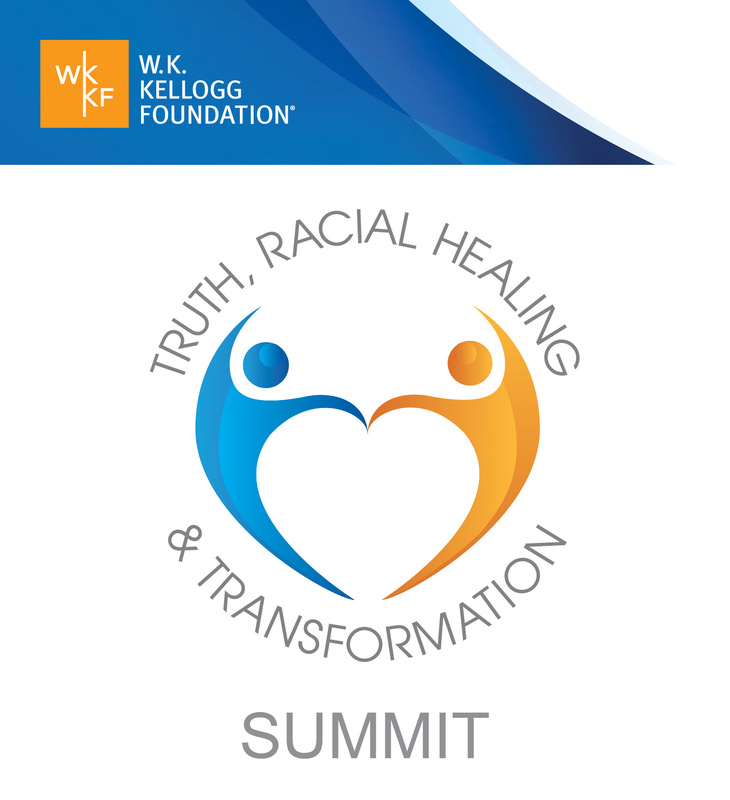 Kellogg Foundation’s inaugural “Truth, Racial Healing & Transformation Enterprise” Summit to lead a panel discussion about arts and activism with panelists including Norman Lear, A.J. 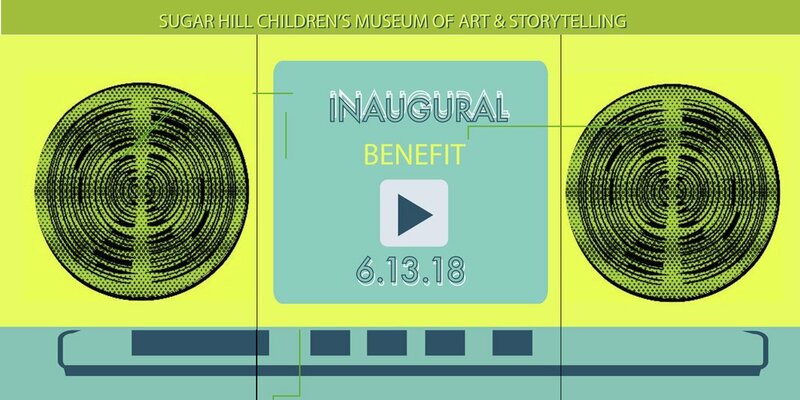 Jones, Maimouna Youssef and others, followed by an exclusive performance of “The Live Mixtape: Remixing The Narrative” (recently performed at the opening of the Smithsonian NMAAHC!) for TRHTE conference attendees. Special guest performers include: Pharoahe Monch, M1 (dead prez), Maimouna Youssef, Stro Elliot, Daniel Crawford, ZION I and Mayda Del Valle! Click here for more information about W.K. Kellogg Foundation. 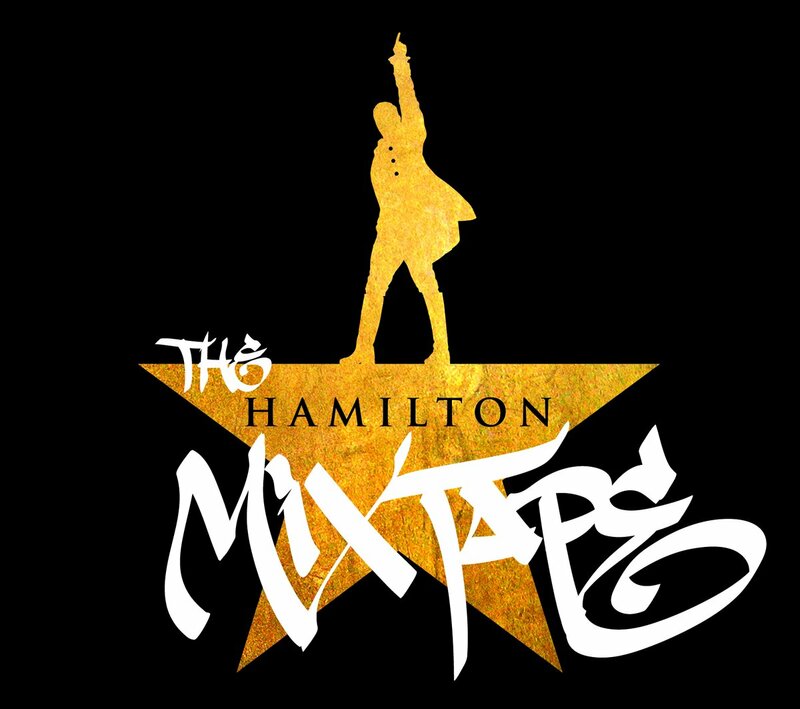 Inspired by the smash hit musical Hamilton, J.PERIOD has partnered with the show’s creator Lin-Manuel Miranda and The Roots to produce a mixtape unlike anything the world has seen - due out December 2 on Atlantic Records. With demos, remixes and new versions of the Broadway show’s award-winning songs performed by a staggering roster of all-star artists (tracklist below), THE HAMILTON MIXTAPE is an epic new journey through the music and narrative of this history-making musical! Pre-Order on iTunes here. Click for details. Celebrate this truly historic and momentous occasion as New York City officially renames the block in Queens where A Tribe Called Quest’s seminal “Check The Rhime” video was filmed, in honor of the passing of Malik ‘Phife Dawg’ Taylor. The honorable Councilman I. Daneek Miller of District 27 will host the official street naming ceremony in honor of Malik Izaak Taylor p/k/a Phife Dawg of the legendary hip-hop group A Tribe Called Quest. This posthumous honor will be attended by various political and entertainment luminaries including Senator Leroy Comrie (District 14), Queens Borough President Melinda Katz, Representative of Mayor Deblasio’s office, members of A Tribe Called Quest, and more. Honoring Malik Izaak Taylor p/k/a Phife Dawg for his contributions as an innovator and trendsetter in the Music/Entertainment and Media Industries. The event culminates with a street naming ceremony in his hometown of Jamaica, New York @ Linden Boulevard & 192nd Street. 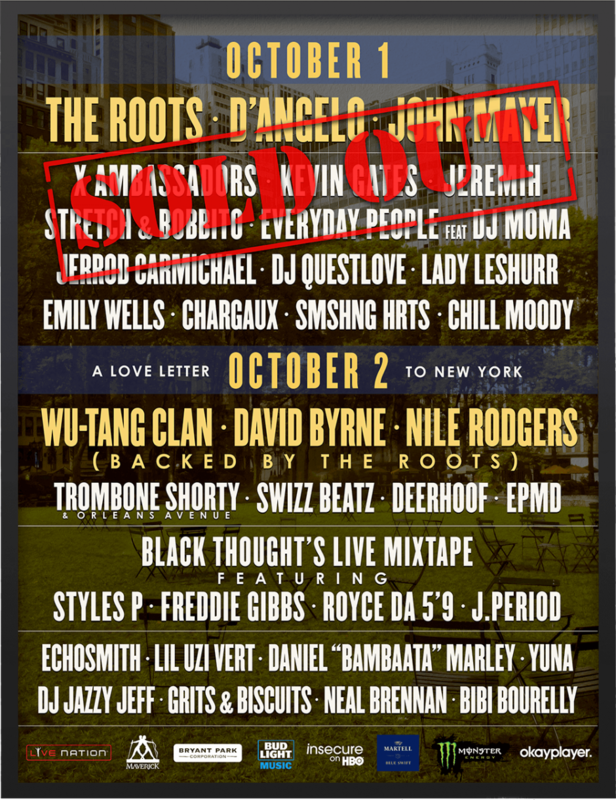 J.PERIOD and Black Thought take the stage for the most epic Live Mixtape performance yet… at the inaugural Roots Picnic NYC in Bryant Park, featuring special guests Freddie Gibbs, Styles P and Royce Da 5’9”!!! Live Performance Featuring J.PERIOD, Stro Elliot, Masego… And An All-Star Roster of Surprise Special Guests!!! J.PERIOD & Ralph McDaniels. Private event. Brooklyn, NY. Join us for a special ‘Screen/Play’ screening of the classic film “Juice”. 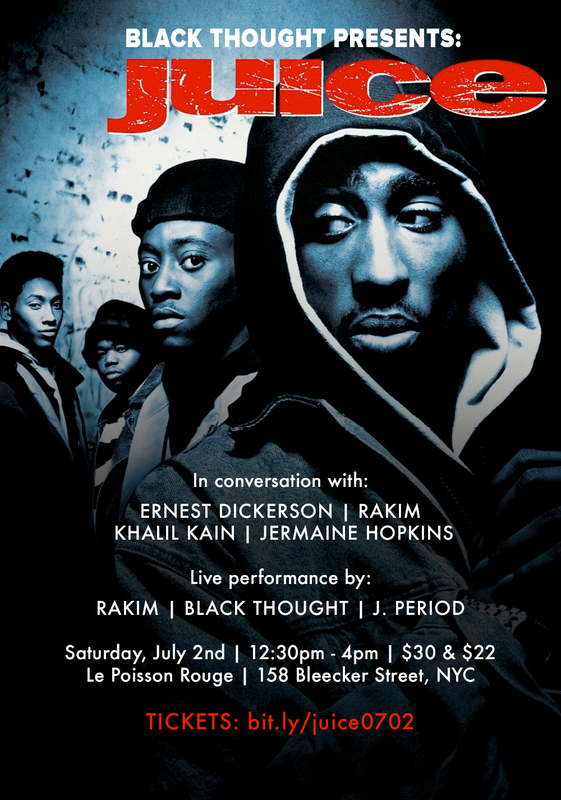 Hosted by Black Thought of the Legendary Roots Crew, the screening will be followed by a conversation with Ernest Dickerson (Director), Rakim (Emcee), Khalil Kain (“Raheem”), and Jermaine Hopkins (“Steel”) AND an exclusive LIVE MIXTAPE performance by Rakim, Black Thought & J.PERIOD! 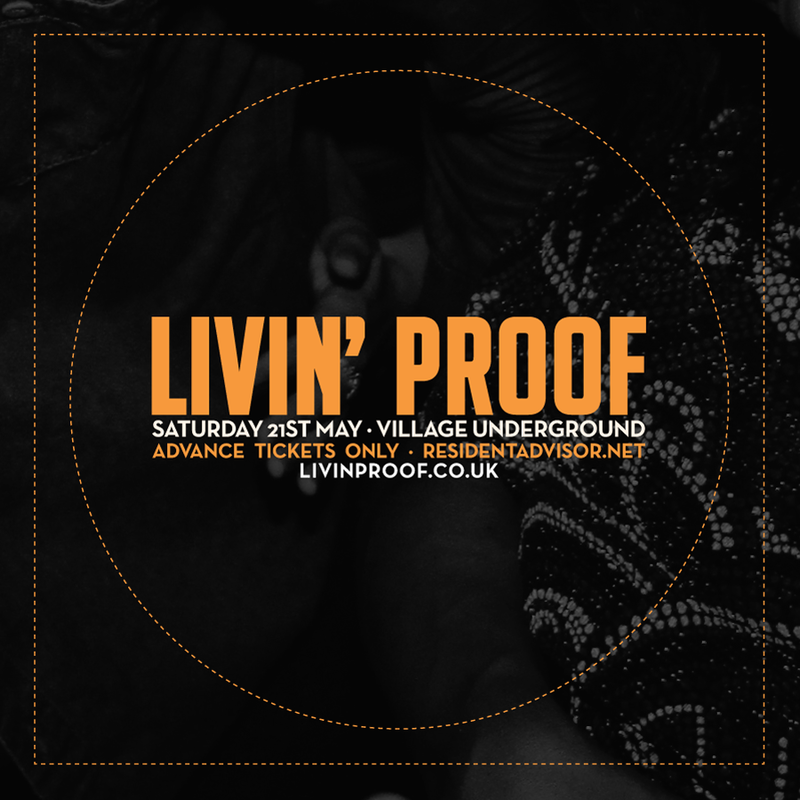 Join J.PERIOD and London’s own Khalil (Livin Proof) at Bed-Stuy’s Casablnaca on Saturday June 18! All eras, all genres, just GOOD MUSIC! Join us in celebrating Prince’s birthday with an all-Prince DJ set by J.Period (The Roots, Brooklyn Nets) plus ‪special purple goodies from our merchants! Catch J.PERIOD’s final Europe appearance with an exclusive DJ set at Barbershop Paris at 68, Avenue de la Republique, 75011 Paris!! After party! Catch J.PERIOD at La Parisienne Première at Heritage Club 37 av de friedland, Paris. Midnight to 5am! 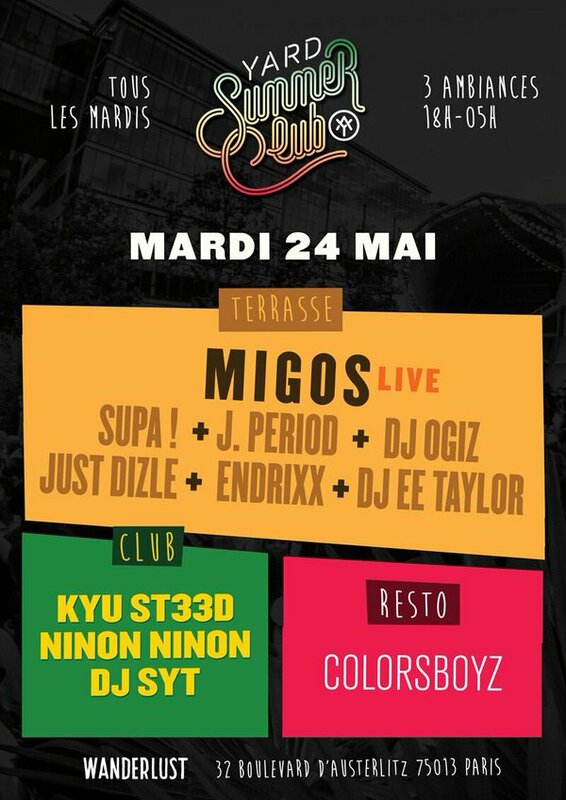 J.PERIOD returns to Paris! J.PERIOD joins Migos, Just Dizle and more at Wanderlust. 32 Boulevard D’Austerlitz, 75013, Paris. J.PERIOD X EUROPE | NEW SHOWS ADDED!!! One Final Stop in London… J.PERIOD joins residents DJ Snips, Khalil, COmplexion and others for London’s hottest hip hop party. Event Details Soon! 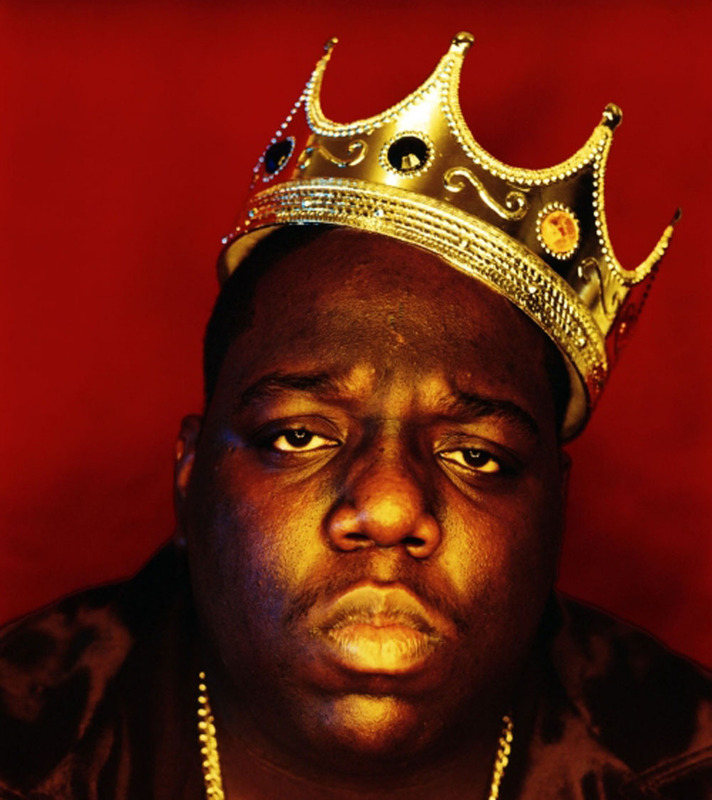 Biggie Smalls is the Illest!! 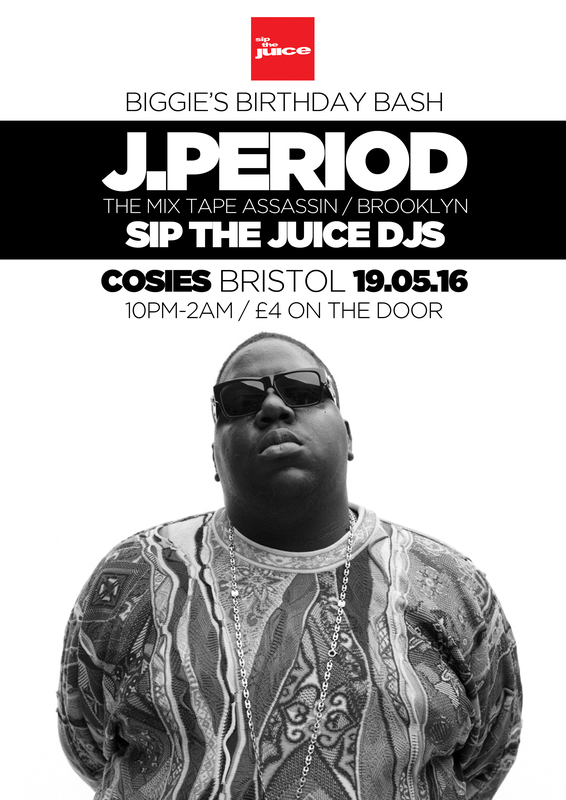 Next Stop: London as J.PERIOD celebrates the music of Brooklyn’s Finest for this ONE NIGHT ONLY B.I.G. 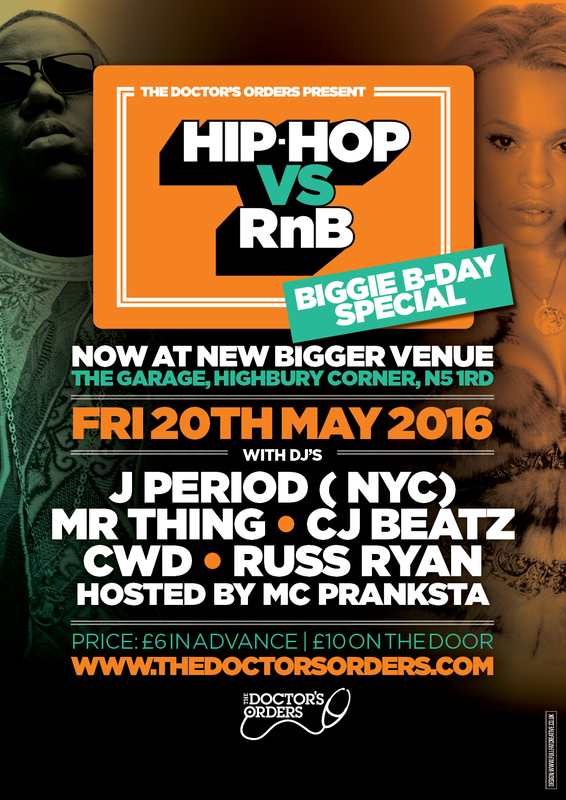 Tribute event at London’s premiere hip hop event “Doctor’s Orders”!! Get it? 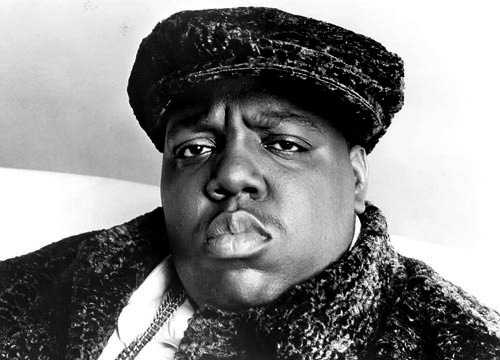 BIGGIE. Catch J.PERIOD at “NO NEW FRIENDS” this Wednesday, May 18! C’est EXCEPTIONNEL la BBG party du mois de Mai aura lieu un DIMANCHE veille de Jour Férié ! La BBG party , vous connaissez la recette, beautiful people & différentes Vibes! ►Music: Hip-hop, Rnb, Soul, Funk ,AfroBeat, Reggae, Dancehall et Eclectic Beats en tous genres, tant qu’il y a de la vibe ! be there when the streetball elite of germany is fighting for the crown. watch live the 5 on 5 main court transforming into a 3 on 3 urban battleground surrounded by live act, dj`s and tape art performance. 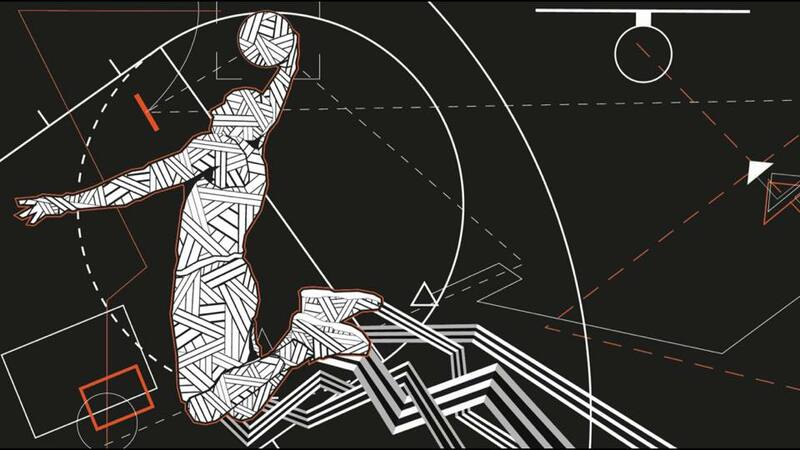 we start with the Euroleague Next Generations SLAM DUNK Contest followed by adidas elite streetball tournament with 8 Teams - 7 Games - one winner takes it all! 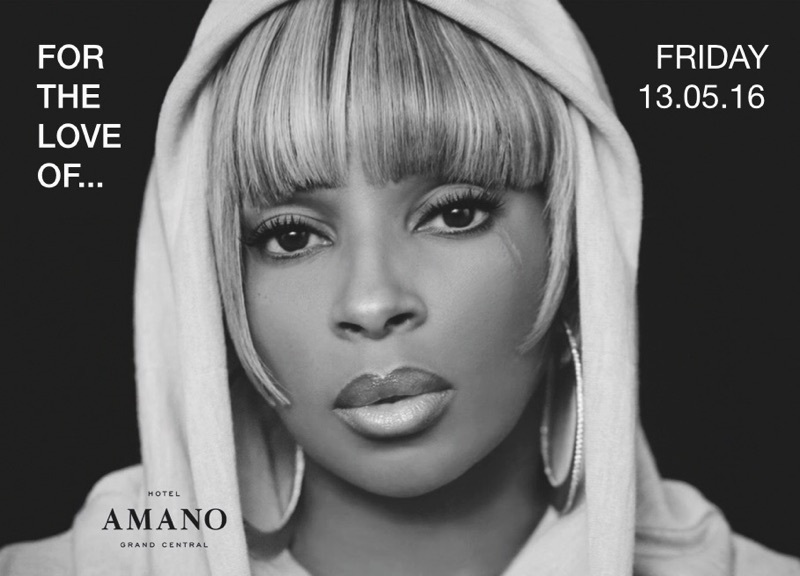 We are celebrating none other than the one and only “Queen Of Hiphop Soul” - Mary J. Blige this time around! There’s no artist in the hiphop soul genre whose music has rung true with such a tenacious and resilient spirit over the years. She’s worn her heart on her sleeve and hasn’t hidden the fact that her tumultuous past and struggles have contributed to the woman she is today. Over time, Mary J. Blige has used her music to share about overcoming her ups and downs and spanned glorious tracks full of freedom, redemption, triumph and inspiration for generations of women. Her songs have not only resonated with people from different backgrounds but have become anthems of hope, full of conviction that better days are yet to come. From the 30 Grammy nominations she has garnered so far, Blige has won 9 and sold over 50 millions albums from the 11 studio albums she has recorded to date. She’s has also received numerous awards and achievements in her time including being named one of TIME magazines’ “100 most influential people” in 2007. Rolling Stone Magazine ranked Mary J. Blige’s prolific “My Life” album as one of the “100 Greatest Albums of All Times” in early 2000. The list of accolades go on and on for the indisputable “Queen Of RnB”. Amano Grand Central’s rooftop APARTMENT BAR set right by Hauptbahnhof. Amano Grand Central is the latest addition to Berlin’s buzzing social scene. To coincide with this week’s Jordan Brand Classic — which features the top male and female basketball players from around the world — Jordan Brand will be opening a special pop-up boutique for Nike+ members at 166 Flatbush. The venue brings the best-in-class services, experiences and product to the city, as you can expect a slew of rare sneakers to be available for the occasion. If you miss J.PERIOD on Friday, April 15, catch him again on Sunday April 17 at 2pm! To coincide with this week’s Jordan Brand Classic — which features the top male and female basketball players from around the world — Jordan Brand will be opening a special pop-up boutique for Nike+ members at 166 Flatbush. The venue brings the best-in-class services, experiences and product to the city, as you can expect a slew of rare sneakers to be available for the occasion. Catch J.PERIOD on the wheels for the grand opening at 10am on Friday, April 15, then again on Sunday April 17 at 2pm! 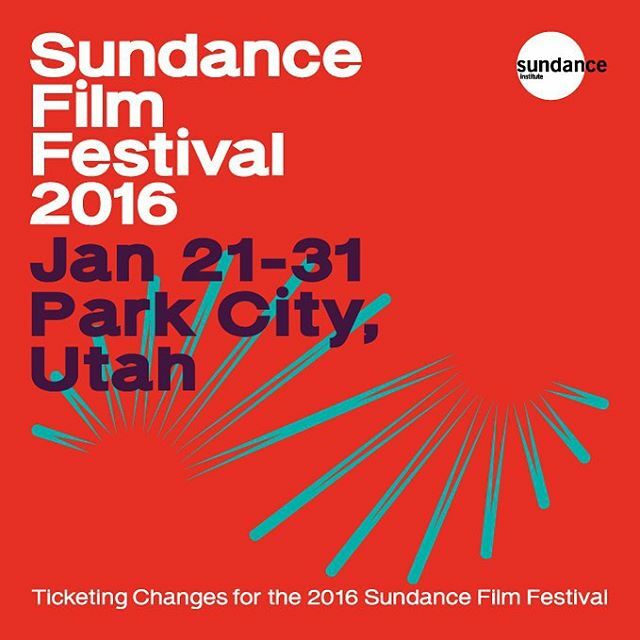 Catch J.PERIOD at the 2016 Sundance Film Festival! Details Coming Soon! 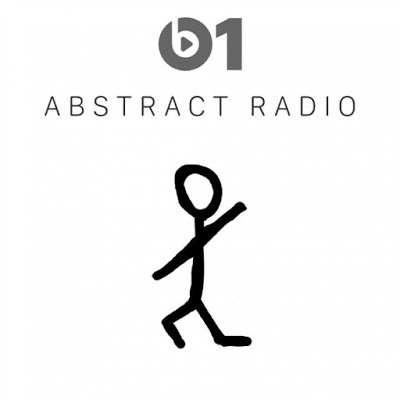 Tune in TONIGHT, Friday November 20 at 10PM EST, as J.PERIOD invades ABSTRACT RADIO with a special presentation of The Live Mixtape!! 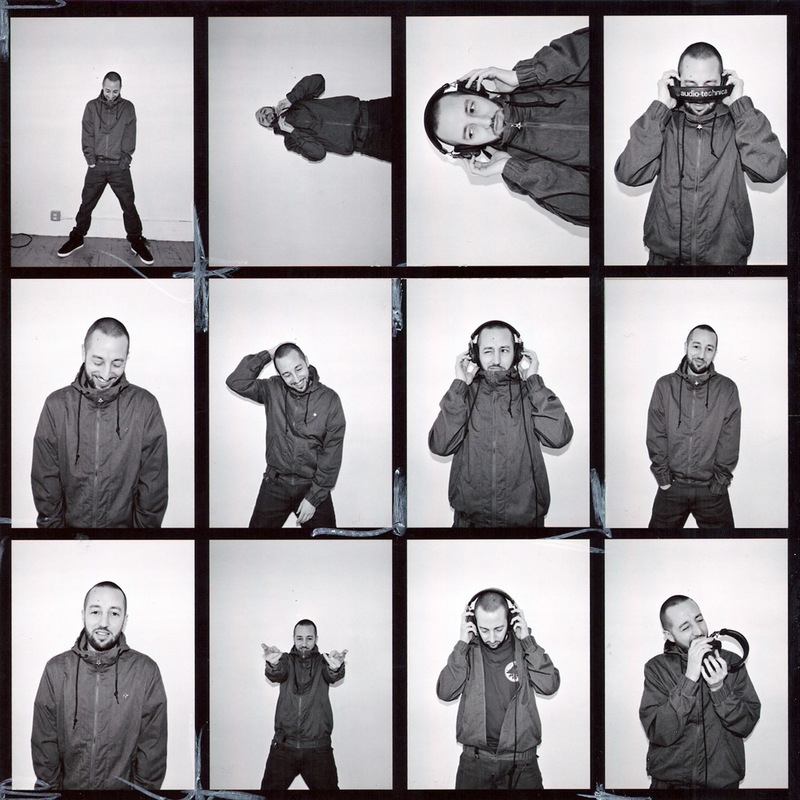 Mixing through multiple generations, genres, languages and styles - from Kendrick Lamar to The Clash, Pete Rock to Paul Simon, Drake to U2, Fela Kuti to Common - J.PERIOD juggles beats and breaks from across the musical spectrum and around the world, including France, Nigeria, Jamaica, Ireland, Puerto Rico and more—“not the old school, not the new school, but the good school…”. 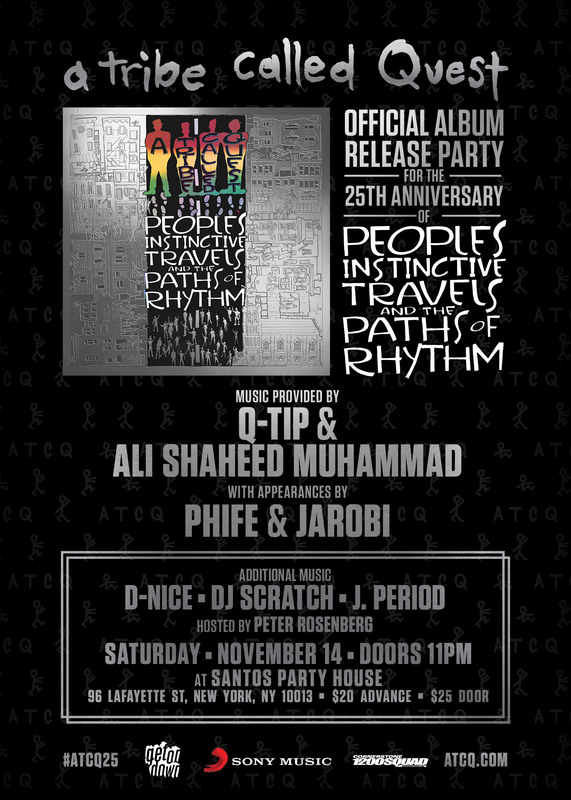 WIN TICKETS TO THIS WEEKEND’S #ATCQ25!! VISIT @MASSAPPEAL ON TWITTER FOR DETAILS! Celebrate the 25th anniversary of A Tribe Called Quest’s legendary debut album People’s Instinctive Travels… with this ALL-STAR line-up of hip hop legends! Music by Q-Tip, Ali Shaheed Muhammed, D-Nice, DJ Scratch and J.PERIOD!! Special appearances as well….. Don’t miss it! 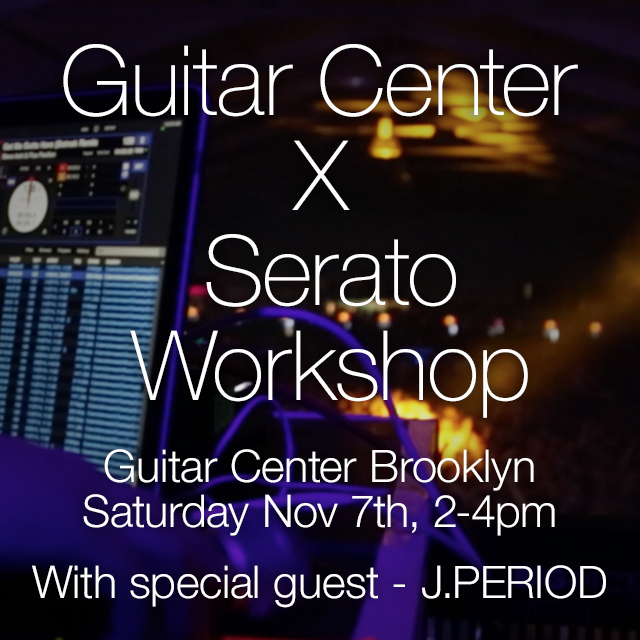 SERATO X GUITAR CENTER WORKSHOP FEATURING J.PERIOD! Join Serato and J.PERIOD for a special demo of Serato DJ and some inside tips and tricks on how J.PERIOD incorporates Serato DJ into his performance and production! 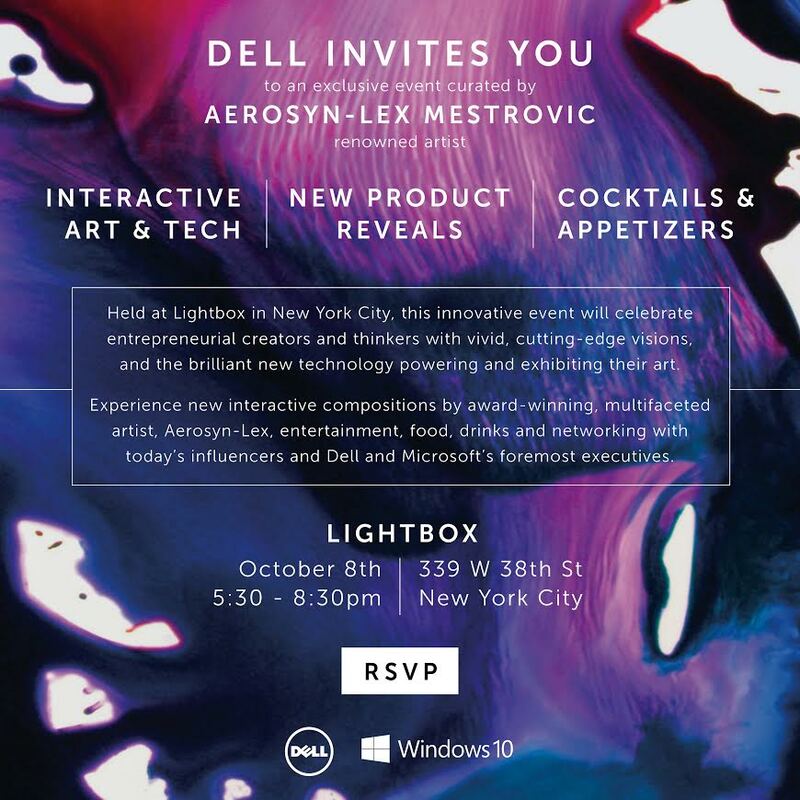 Dell Presents an exclusive interactive art and technology event featuring live multimedia painting from renowned visual artist Aerosyn-Lex Mestrovic and music by J.PERIOD. 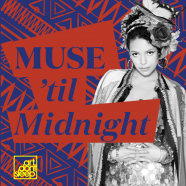 Muse ‘til Midnight brings hundreds of art-lovers together once every summer for the ultimate late-night at LACMA. This year’s party features the work of Southern Californian artist Noah Purifoy, with music throughout the night curated by ArtDontSleep. The night begins at Chris Burden’s Urban Light hosted by and featuring KCRW’s Anthony Valadez, with The Drumetrics Collective from San Diego and the psychedelic soul of Adrian Younge and his band Venice Dawn. After the party in the plaza, move into the galleries for an hour inside Noah Purifoy with DJs Mark deClive Lowe and Jeremy Ellis, who will mash up disregarded or forgotten sounds and create new music—inspired by the way Purifoy assembled sculptures from forgotten objects. For those who love to dance, DJ Rashida and J.PERIOD will take us to the midnight hour inside our contemporary galleries, where you’ll bask in the light of Robert Irwin’s Miracle Mile. Cash bar and small bites available until 11 pm. Note: This event is designed for guests 18 years of age and older. HAUTE CUISINE MEETS HIP HOP AT ALL’ONDA’S GUEST CHEF DINNER SERIES ON MARCH 9, 2015 FEATURING A SPECIAL B.I.G.-INSPIRED MENU BY AWARD-WINNING CHEFS DALE TALDE x CHRIS JAECKLE & MUSIC BY J.PERIOD! 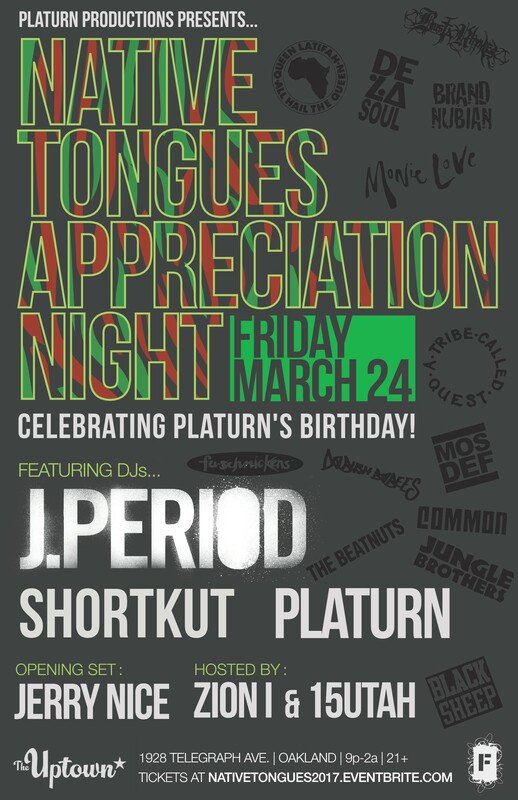 J.PERIOD joins Spike Lee, 40 Acres and an all-star cast of DJs for an NBA -All-Star bash… Brooklyn-style. Event details TBD. 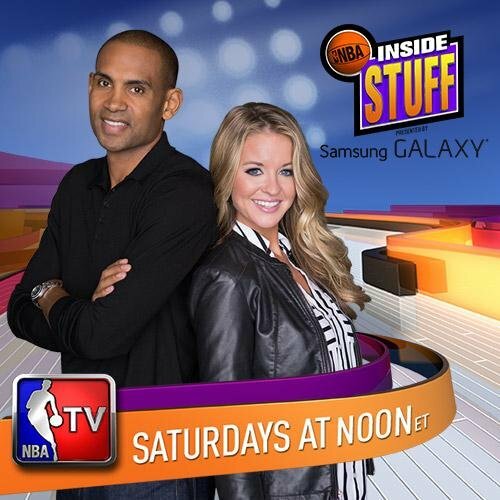 J.PERIOD FEATURED ON NBA INSIDE STUFF (NBA TV)!! NBA Inside Stuff visits J.PERIOD’s Brooklyn recording studio for a breakdown of the NBA Inside Stuff 2015 theme song, producing music for the Brooklyn Nets’ first two seasons at Barclays Center, and what makes Brooklyn the perfect place for NBA All-Star Weekend 2015! J.PERIOD joins a star-studded cast of athletes and performers for Under Armour’s launch event and 2015 All-Star extravaganza. Details TBD. The time has come for the gathering of the greats! 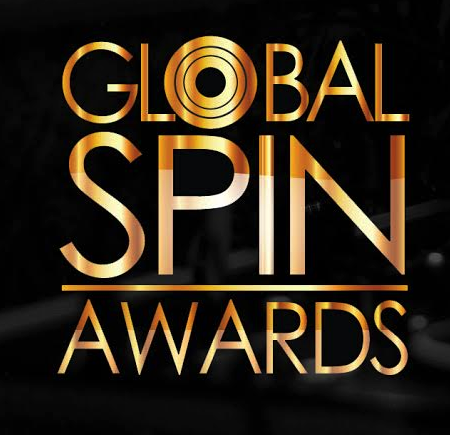 The 2014 Global Spin Awards on November 18, 2014 at New World Stages. Other nominees for “DJ Remixer of the Year” include: Ted Smooth, DJ Rob Deniro, Diplo, and Jump Smokers. 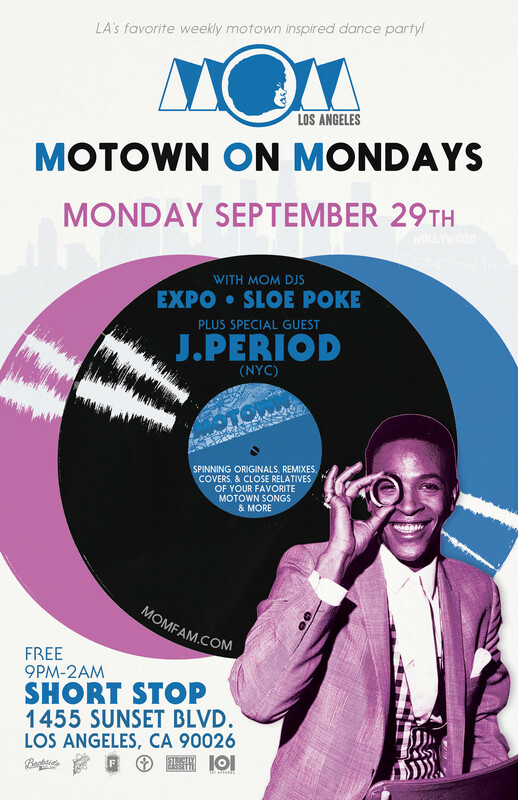 J.Period will be returning to Los Angeles’ famous Motown on Mondays this month on September 29. 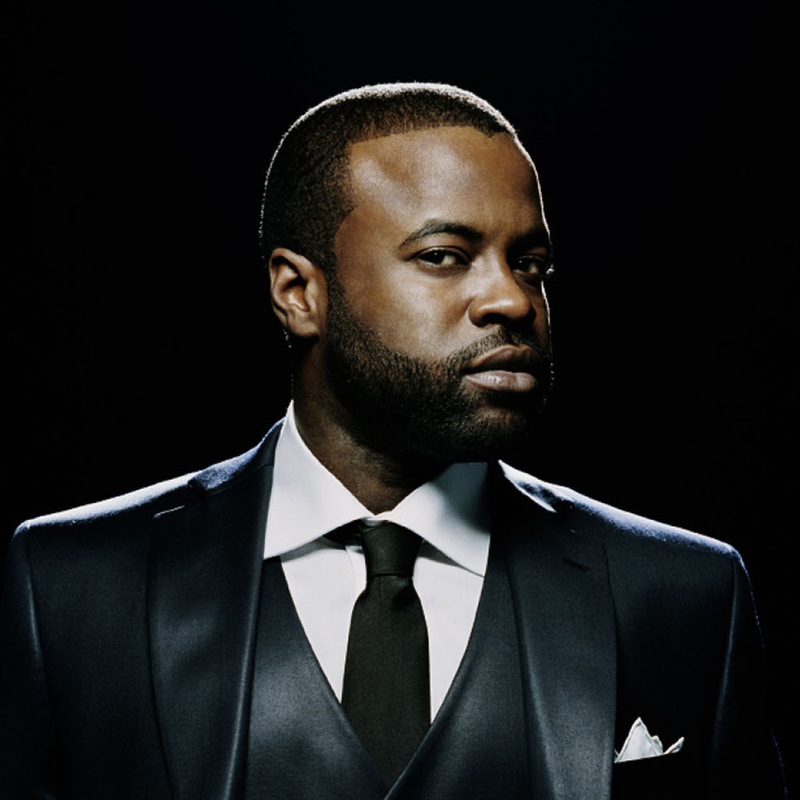 Catch him playing a combination of classic funk and soul, inspired by Motown. Make sure to get there early! The Short Stop gets packed quick! 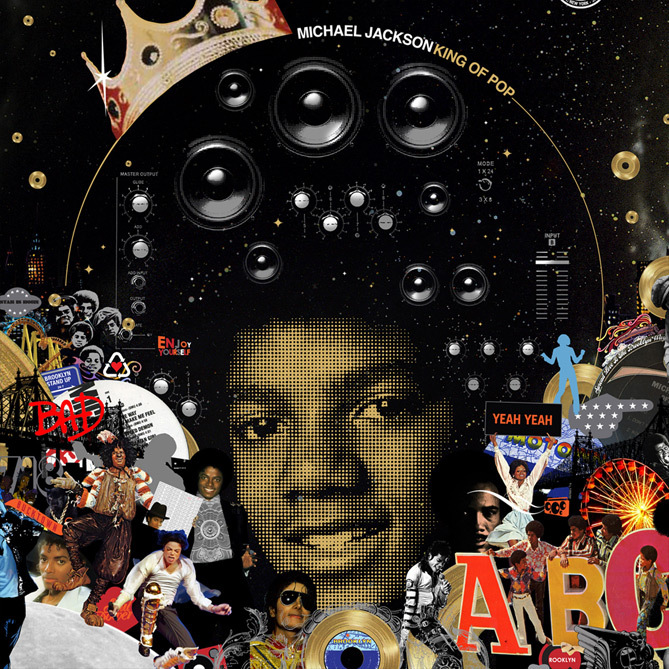 Hosted by Frannie Kelley and Ali Shaheed Muhammed (A Tribe Called Quest) with Guests Dream Hampton, Donald Harrison Jr. and Matty C.
Commemorate the King of Pop’s life on JPERIOD.com with “MJ ALL DAY” a 24-hour event featuring exclusive J.PERIOD x MJ content! HEIRO CREW TOGETHER ONSTAGE IN BROOKLYN! 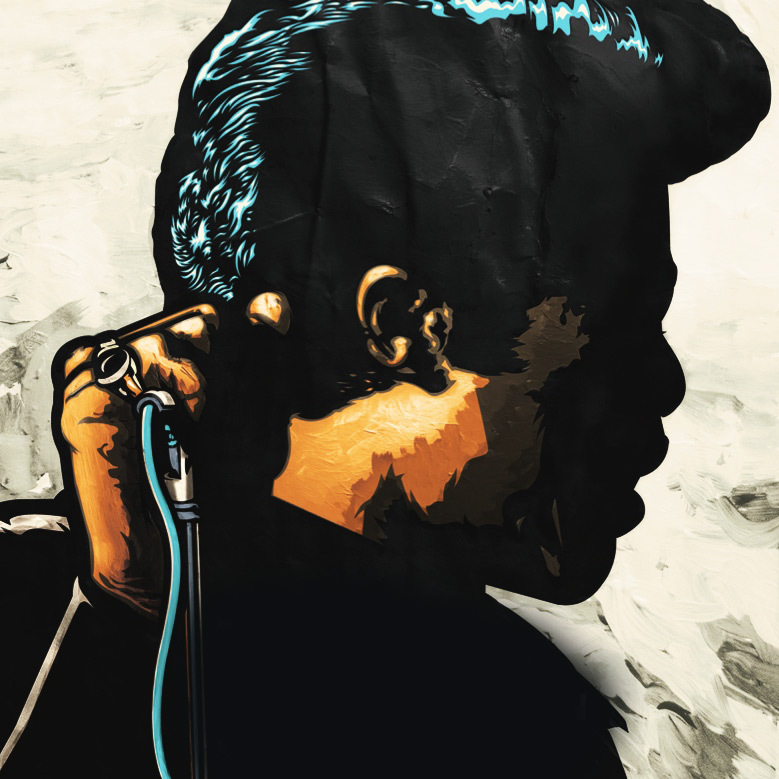 CELEBRATE JAMES BROWN WITH “GET ON UP”! Celebrate the life and legacy of the Godfather of Soul, James Brown, with the release of Get On Up, in theaters August 1. Listen to J.PERIOD’s #TheLegacyOfJamesBrown today! Private event. NYC. Details TBD. Based on the incredible life story of the Godfather of Soul, Get On Up will give a fearless look inside the music, moves and moods of James Brown, taking audiences on the journey from his impoverished childhood to his evolution into one of the most influential figures of the 20th century. Chadwick Boseman is joined in the drama by Viola Davis, Octavia Spencer, Nelsan Ellis, Lennie James, Tika Sumpter, Jill Scott and Dan Aykroyd. Academy Award® winner Brian Grazer (A Beautiful Mind, 8 Mile) produces for Imagine Entertainment, with Mick Jagger and Victoria Pearman (Shine a Light) producing under their Jagged Films banner. Imagine’s Erica Huggins (Flightplan) also serves as a producer on Get on Up, while Taylor produces under his Wyolah Films label. Peter Afterman, Trish Hofmann, Jez Butterworth, John Butterworth, John Norris and Anna Culp serve as executive producers. 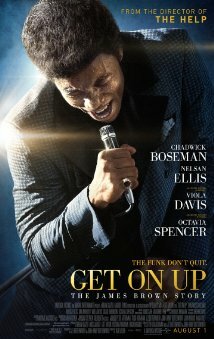 Get On Up opens in theaters on August 1st. 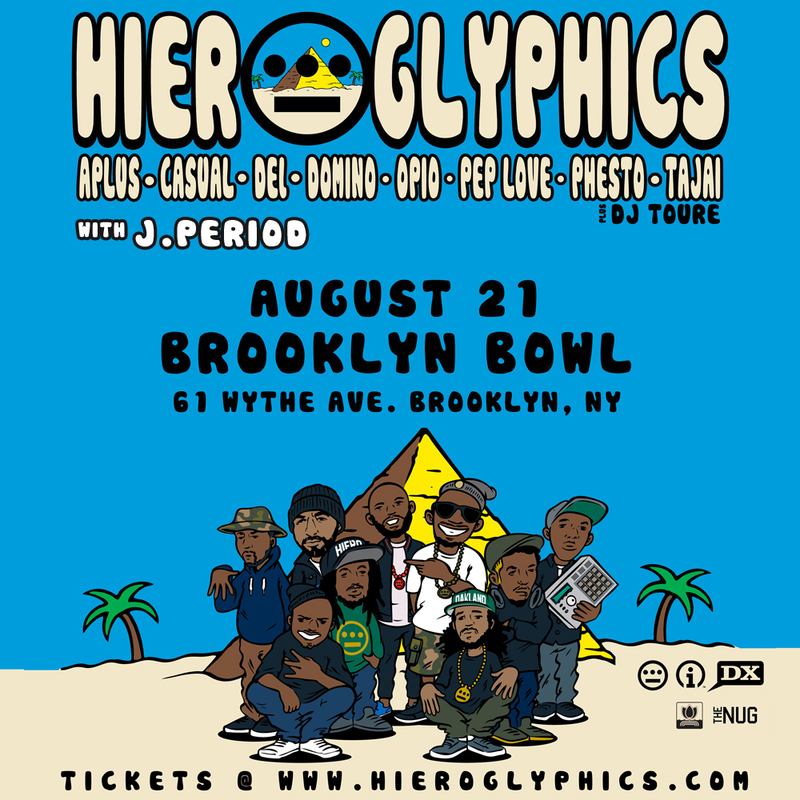 J.PERIOD holds down the decks for Black Thought, Questlove and The Legendary Roots Crew for “The Roots Presents… Hip Hop” featuring L.A. legend Warren G, Method Man & Redman, and hip hop icon Doug E. Fresh. 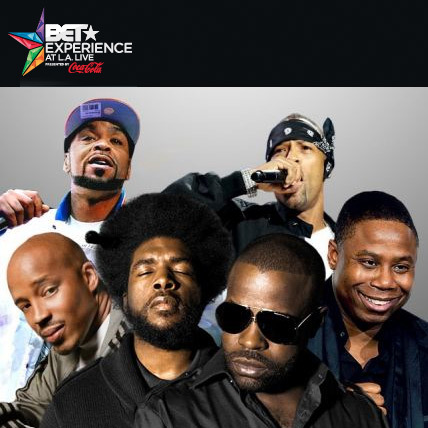 Part of The BET Experience concert series June 27-29in honor of the BET Awards in Los Angeles, CA Click for details. Shhhh! Something new from J.PERIOD. Check back for details! 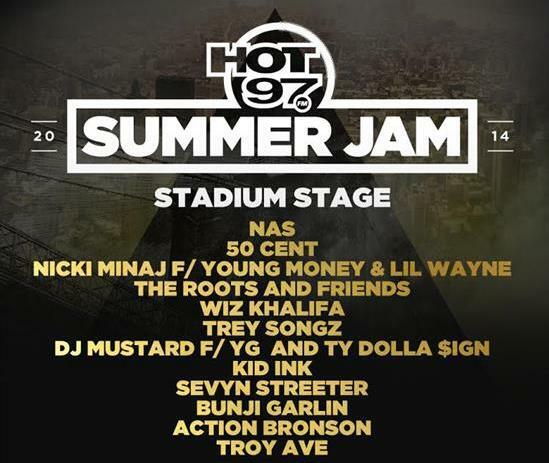 Join J.PERIOD as he DJs for The Legendary Roots Crew at the hottest hip hop event of the year, Hot 97 Summer Jam at Metlife Stadium!! Performers include: Nas, 50 Cent, Wiz Khalifa, Nicki Minaj and more! Click for tickets and watch this video preview! Join J.PERIOD & Keisha Cole at Macy’s Herald Square for the launch of Keisha’s new collaboration with Steve Madden! 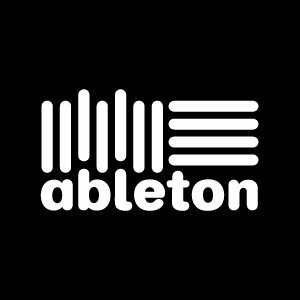 Guest artists: J.PERIOD, Tec Beatz, starRo, AbJo, Run P.
A look into the world of the modern day urban music producer and what is at the center of importance when it comes to production tools: workflow. The producers on this panel will talk about real-life scenarios where a quick and meaningful workflow has been crucial, and along the way will likely offer up some valuable insights on how to get into production, take it to the next level and achieve your own style. 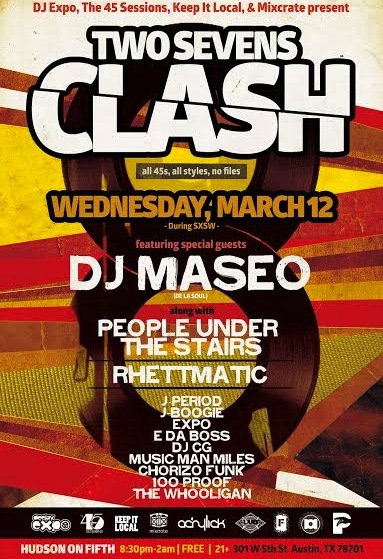 Join J.PERIOD, DJ Maseo (De La Soul), People Under the Stairs, Rhettmatic, J-Boogie, DJ Expo, and more at this years “TWO SEVENS CLASH”. This is the 4th annual installment of the “TWO SEVENS CLASH” showcase during SXSW! This unique showcase is a strictly vinyl affair for the true music lovers, featuring an all-star lineup of DJs rockin all 45s! 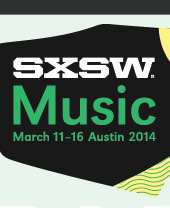 J.Period & Prof. Josh Kun’s #ArtOfTheCrossfade visits SxSW 2014! 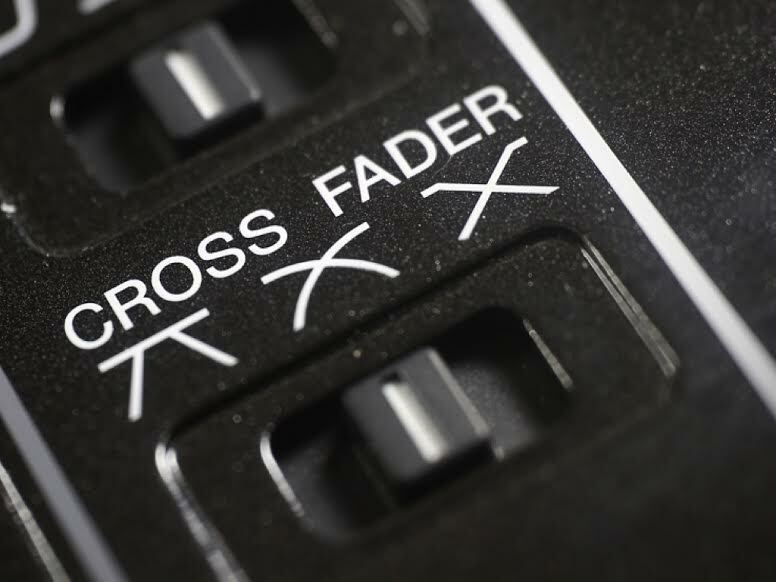 Combining an academic lecture with a live DJ performance, #ArtOfTheCrossfade merges the story and symbolism of the DJ crossfader with a live demonstration of its capabilities. As technology shrinks our planet but expands our worldview, we are all exposed to a wider spectrum of influences: music styles blur, cultures intersect, ethnicities merge. In the age of the crossfade, we all live in the mix. Click here to learn more. 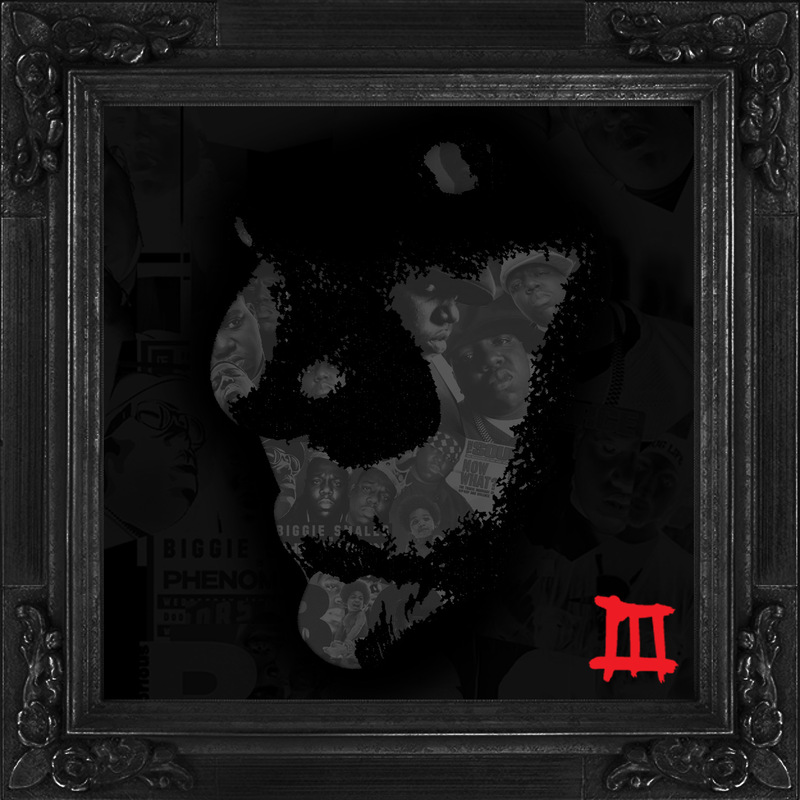 In anticipation of March 9 (and a new J.PERIOD X B.I.G. mixtape!! 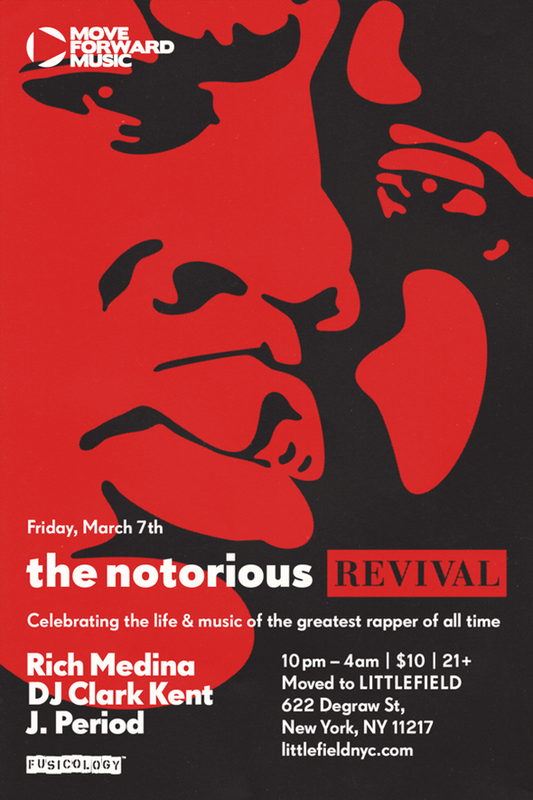 ), join J.PERIOD, Rich Medina, and DJ Clark Kent as they spin in honor of one of the greatest rappers to ever pick up a mic… The Notorious B.I.G. BROOKLYN REPRESENT! 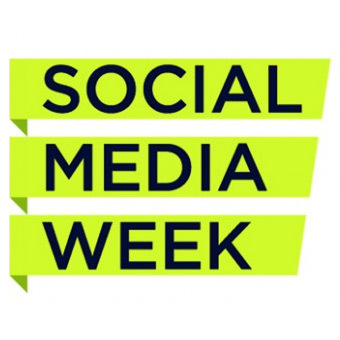 With Social Media Week coming to a close, Spotify is capping the week by hosting The Future of Social Music, Presented by Spotify at the Highline Stages tomorrow, February 21. Catch J.PERIOD on the day’s first panel discussion, focusing on Music Discovery in the age of social media. Click here for more info. J.PERIOD closes out NBA All-Star Weekend DJing at Samsung VIP Event. Private Event, closed to public. J.PERIOD brings Brooklyn to New Orleans for the 2014 NBA All-Star Weekend. Catch J.PERIOD DJing Sunday 11-1:30 PM on the NBA JAM SESSION floor, a series of daytime fan appreciation events featuring the NBA’s biggest names. Then stay All-Star Saturday Night as the Brooklyn Nets’ own music team provides the soundtrack for the 3-point competition, skills competition, and slam dunk contest!! Click here for more. 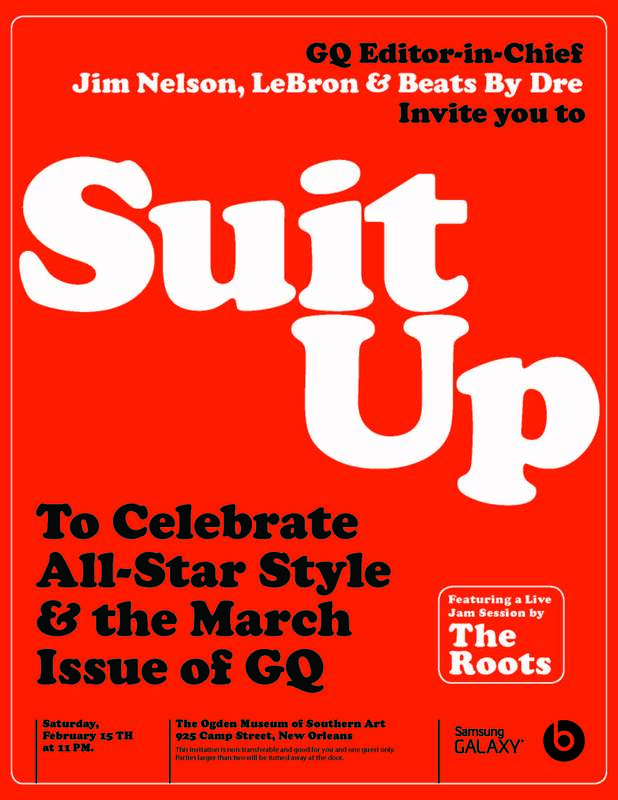 LeBron, Jim Nelson, and Beats By Dre are celebrating the masters of style and the March issue of GQ this Saturday! 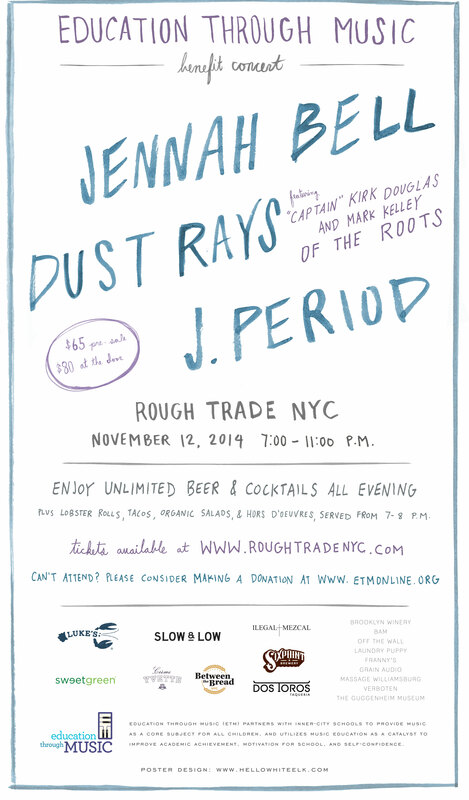 With a live jam session by The Roots, and accompaniment by J.PERIOD, this will be a night not to miss! 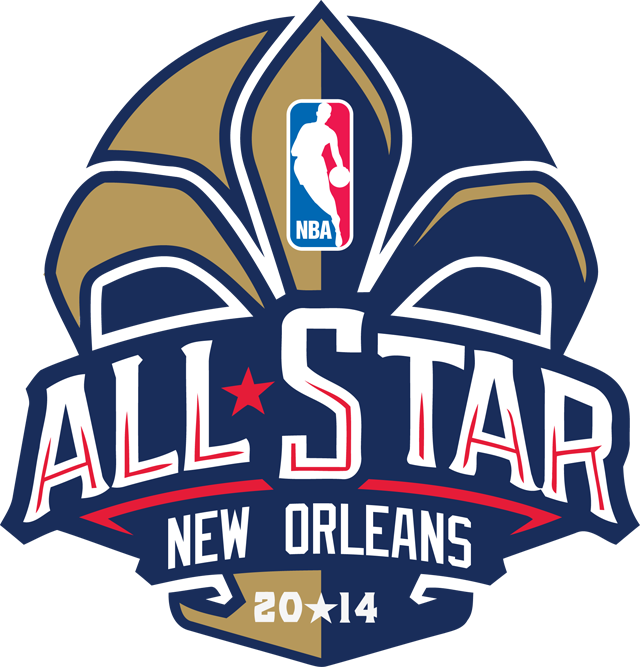 J.PERIOD brings Brooklyn to New Orleans for the 2014 NBA All-Star Weekend. Catch J.PERIOD DJing 4-7 PM on the NBA JAM SESSION floor today, a series of daytime fan appreciation events featuring the NBA’s biggest names. Then stay All-Star Saturday Night as the Brooklyn Nets’ own music team provides the soundtrack for the 3-point competition, skills competition, and slam dunk contest!! Click here for more. 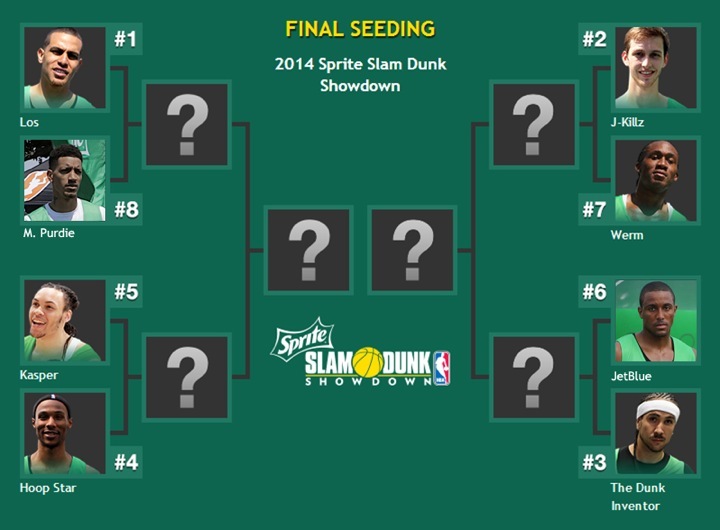 This past summer high-flying amateur dunkers competed in the Sprite Slam Dunk Showdown. 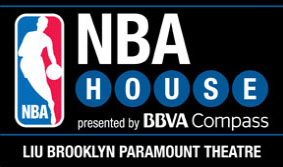 Eight finalists were selected, one from each city, now they will all make the trip to New Orleans for NBA All-Star 2014 where they’ll compete for the championship, with the winner receiving $10,000! Come and tune in as J.PERIOD orchestrates the music to this colossal showdown! 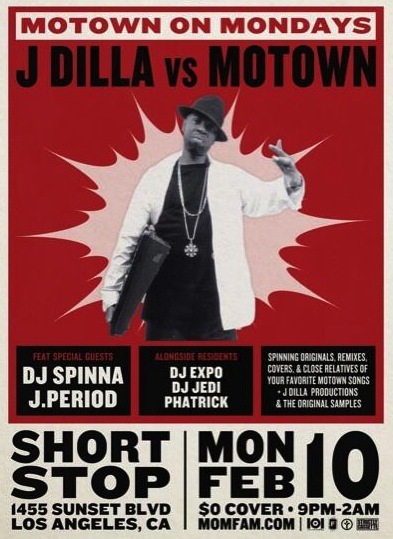 Paying tribute to the late, great Jay Dilla, J.PERIOD joins DJ Spinna and resident DJ’s Expo, Jedi and Phatrick for a special edition of Motown on Mondays, spinning spinning originals, remixes and covers of your favorite Motown songs + Dilla productions and original samples! Not to be missed!!! J.Period & Prof. Josh Kun’s “The Art of The Crossfade” visits North Hollywood, CA for a special performance at performing arts high school, The Oakwood School. Combining an academic lecture with a live DJ performance, J.PERIOD and Prof. Kun explore the DJ crossfader as a new way of understanding diversity. Click here to learn more. 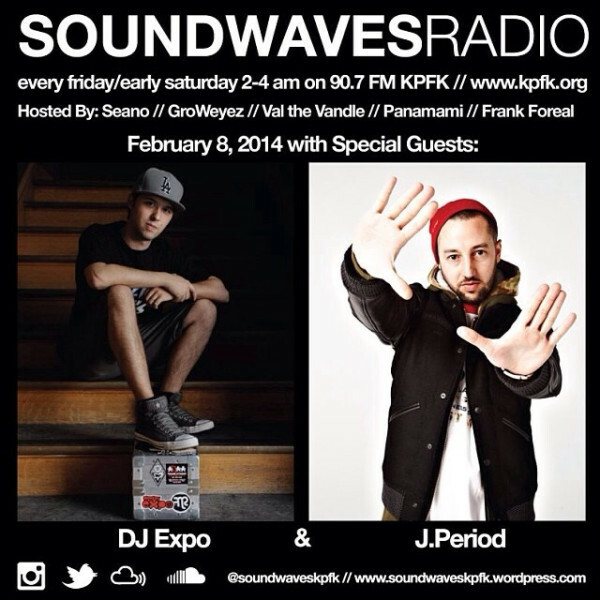 Tune in tonight late night to catch J.PERIOD and DJ Expo on L.A.‘s KPFK radio, spinning a preview of Monday night’s Dilla vs. Motown set… Live on air 90.7FM Friday Night / Saturday Morning from 2 - 4 AM! 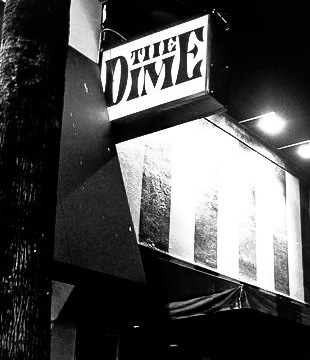 If you’re in L.A. come out to The Dime as J.PERIOD plays a special guest set at Michelle Pesce and Tendaji Lathan’s “Off the Wall Thursdays”! New and classic hip hop, soul, reggae and more! Click here for additional info! 442 N. Fairfax Ave. 2 blocks north of Beverly Blvd. 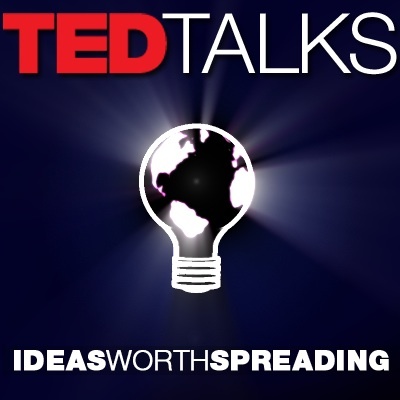 J.PERIOD and USC Professor of Music & Culture, Josh Kun, continue their #Crossfade lecture series at TED, exploring the evolution and significance of DJ mixing in the modern multicultural world. For more information on the #ArtOfTheCrossfade Series, click here. 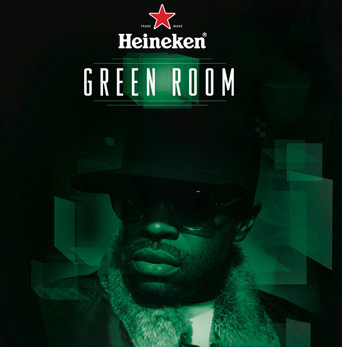 The legendary lyricist takes the stage with J.PERIOD on the ones and twos for this exclusive Heineken Green Room event in D.C. 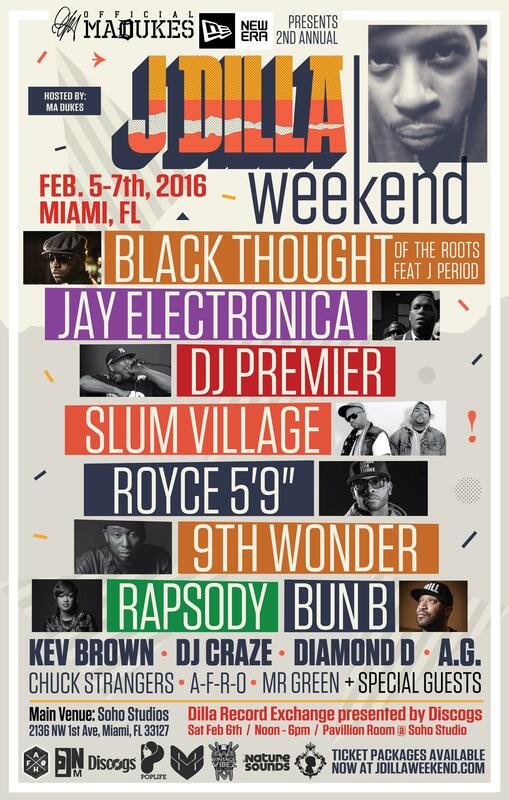 Event also features world champion turntablist J-ROCC from the Beat Junkies. Missed the debut of the 2013-14 Brooklyn Nets Open Video, featuring exclusive new music produced by J.PERIOD? No problem! Click here to watch the video. Click here for a game recap of the Brooklyn Nets season-opening victory over the World Champion Miami Heat. 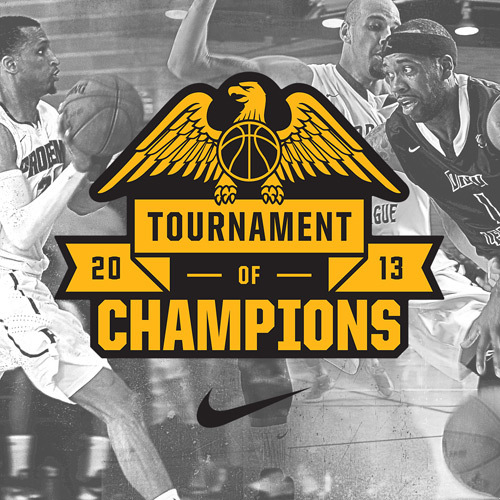 The nation’s best and brightest street ball stars battled all summer long for a slot in Nike’s 2013 Tournament of Champions. Saturday, August 17, 2103, join team captains Kevin Durant and James Harden in Brooklyn as their squads battle it out for street ball supremacy, with music provided by J.PERIOD during the championship game, followed by a live performance by French Montana. Click here for our event recap.